Did Microsoft just buy a new CEO along with Nokia? Microsoft has rattled the tech industry in the last two weeks, first announcing that current CEO Steve Ballmer would be retiring within a year, and now by spending $7.2 billion in cash to acquire Nokia’s clients and services business – and gain long-term access to Nokia’s patent portfolio. 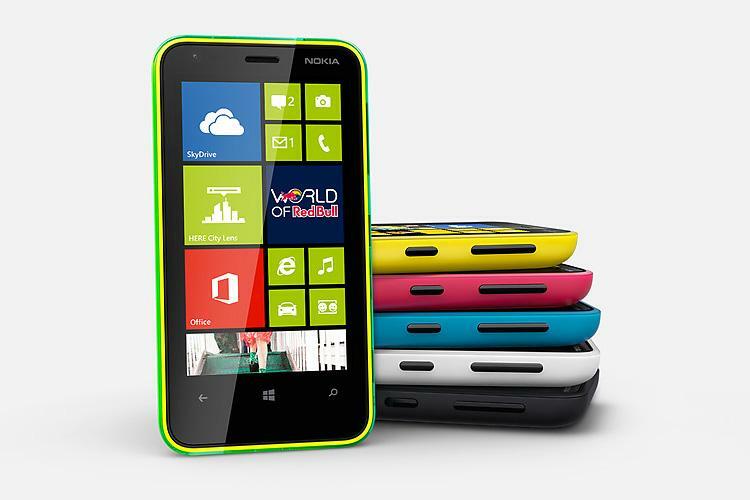 The Nokia deal means Microsoft is taking over Nokia’s mobile phone design and manufacturing business. Microsoft will be building its own phones – plus taking on a whopping 32,000 employees from Finland and around the world. The deal also brings Nokia CEO Stephen Elop back to Microsoft, where only a few years ago he was head of Microsoft’s Business division. Elop will head up Microsoft’s Devices business once the deal closes: That’s a new role created just for him that encompasses (at least in name) half of Microsoft’s “devices and services” vision. Those are big, new shoes, and Elop will report directly to Steve Ballmer. Is Elop’s position a signal Elop now has the inside track on the Microsoft CEO slot when Ballmer steps aside? Or is he a mere caretaker who will oversee the Nokia acquisition, then quietly drift away on a golden parachute sometime after Baller retires? Perhaps the best case for Stephen Elop as a leading candidate for the Microsoft CEO position is that he was already a candidate for the CEO position. Steve Ballmer has admitted as much to several media outlets. Elop has not demonstrated that a company under his leadership can generate barrels of cash. Elop’s stature as a CEO candidate can only be increased by shifting back to Microsoft in a role with critical responsibilities once the Microsoft-Nokia deal closes, expected in the first quarter of 2014. Elop will be in charge of not only Microsoft’s first-party move into smartphones, but also Microsoft’s ongoing efforts to make first-party Windows tablets (Surface devices running both Windows 8 and Windows RT) as well as Microsoft’s Xbox division, which is on the precipice of bringing the Xbox One to market. There’s also some indication Elop can demonstrate strong leadership and take risks, rather than relying on business momentum and sticking to safe, tried-and-true paths. Elop’s decision to make an all-or-nothing bet on Windows Phone may have smelled of cronyism to folks familiar with Elop’s Microsoft background (in fact, Microsoft and Nokia had already been partners for many years), but it’s also precisely the kind of bold decision Nokia’s former management would never have made. And although it was never intended for public consumption, Elop’s now-famous “burning platform” memo from 2011 has been widely cited as one of the most clear-eyed looks an CEO has taken at a struggling company. Perhaps that memo was part of a sleeper “Trojan Horse” strategy to more-quickly damage Nokia’s business, but it also shows that Elop can be articulate and persuasive – qualities a CEO needs in abundance. Unlike anyone else at Microsoft, Elop also has experience getting smartphones to market, and Microsoft is increasingly waking up to mobile as the fastest-growing segment of the technology industry. Nokia has a long, established history producing reliable handsets and successfully getting them into markets all over the world – experience Microsoft will need now that it wants to be a first-party maker of smartphones. While Nokia has been notoriously under-represented in the U.S. market, the company’s experience marketing phones in Europe, Asia, and emerging markets could be a big asset for Microsoft; Elop knows how it works. Remarks from sources inside Microsoft seem to indicate Microsoft employees feel the Nokia deal gives Elop the inside track on the CEO position – although nearly all noted that great deal could change in the next year. The most consistent comment was that Elop’s incoming position lowers the profile of Julie Larson-Green, who is the new head of Microsoft’s Devices and Studios group. Larson-Green has been widely identified as a strong internal candidate for the CEO job. However, once Elop’s on board, she’ll be reporting to him, not Ballmer. There are also a number of factors that weigh against Stephen Elop becoming Steve Ballmer’s successor – and one of the most important may be timing. Elop has already stepped down as CEO, technically serving as an executive vice president while Risto Siilasmaa serves as Nokia’s interim CEO. He won’t be transferring over to Microsoft until the deal is closed, probably in the first quarter of 2014 (so long as regulators and shareholders approve). That basically means up to 6 months of Ballmer’s self-imposed 12-month remaining tenure will pass with Elop still on the books. Once Elop formally transfers to Microsoft, he’ll only have a few months reporting to Ballmer before the Microsoft’s board has to make a decision about the CEO position. During that time Elop will be continuing to oversee a very complicated transition of 32,000 employees (not to mention factory processes, packaging, and sales forces) to Microsoft plus ride herd on Microsoft’s existing device efforts (Surface, Xbox, and more). Microsoft’s board may be reluctant to disrupt leadership in those critical operations three times in the space of a year: once for Ballmer’s recent reorganization, once to bring Elop in, then again to transition Elop to CEO. That kind of continuous disruption could put Microsoft another year behind the Apples and Googles of the world. Any potential candidate for Microsoft’s CEO chair will have a long list of pros and cons after their name. A second strike against Elop might behis lack of deep enterprise experience. Sure, Elop headed up Microsoft’s Business division for a couple years (during which it launched Office 2010 and saw consistent growth) along with Microsoft Dynamics. That counts. But if you look at Microsoft’s operations that currently have run-rates of over $1 billion per year, the majority are deeply tied to enterprise … and Elop has little to no experience with many of them, including Windows Server, Windows Azure, SQL Server, developer tools like Visual Studio, enterprise communications systems, and online advertising. No one candidate will bring vast experience at everything Microsoft does, but lack of direct experience with several of Microsoft’s cash cows may work against Elop. Perhaps as importantly, a CEO is a company’s figurehead, responsible for maintaining and inspiring investor confidence. After all, Microsoft’s ultimate goal is not making better software and gizmos, it’s about maximizing value to shareholders. Stephen Elop’s track record at Nokia may be a tough sell to shareholders. When Elop started at Nokia, it had a market capitalization of $40 billion. Today, that’s just $15 billion. During the same time period Nokia’s stock last a whopping 85 percent of its value, from about $10 a share down to $1.63. One could argue Elop drove Nokia into the ground. On the other hand, one could argue Nokia’s business was already in a nosedive when Elop came on board, and he negotiated the softest landing possible in a tough situation. Either way, Elop has not demonstrated that a company under his leadership can generate barrels of cash – and at the end of the day (or, the fiscal quarter) that’s what investors and shareholders want. Let’s face it: Any potential candidate for Microsoft’s CEO chair will have a long list of pros and cons after their name. If there were a single ideal candidate, nobody would be speculating about who will eventually replace Steve Ballmer. Ultimately, the decision may come down to vision. If Microsoft’s board truly wants to move the company back to a leadership position in the technology industry, it needs to find a CEO with both a clear vision of Microsoft’s future, the ability to innovate in ways current industry leaders cannot (or will not), plus the skill and personal charisma to execute on those ideas. That is a very tall order. Very risky and very exciting, but it might happen. I think most people would agree Stephen Elop is not that candidate. On the other hand, the primary duty of Microsoft’s board is to maximize value to shareholders, not to be reckless with their money. That duty means keeping Microsoft’s revenue streams as healthy as possible, while developing new sources of income that show strong opportunities for future growth. That sort of business is mildly risky, not very exciting … and pretty likely to happen. Will a treadmill-powered Internet connection really end your exercise procrastination?